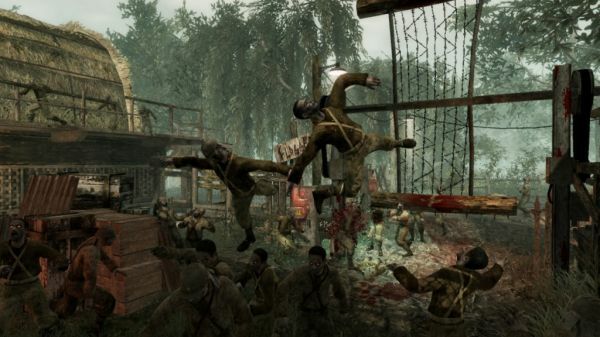 The upcoming PC patch for Call of Duty: World at War will bring the game to version 1.5. The patch has a host of fixes, many related to the game's numerous co-op modes. When the patch was originally announced though - map pack #2 was mysteriously missing from its features. In fact the developers went as far as to explicitly state the map pack would not be included. Thankfully like a zombie with a shotgun in its mouth, they've changed their tune. According to the official CoD forums, a developer as stated that Map Pack #2, including the Shi No Numa four player co-op zombie map, would be included with patch 1.5. More information is coming next week, but we expect like the previous map pack on the pc, it'll be completely free. Page created in 0.2537 seconds.